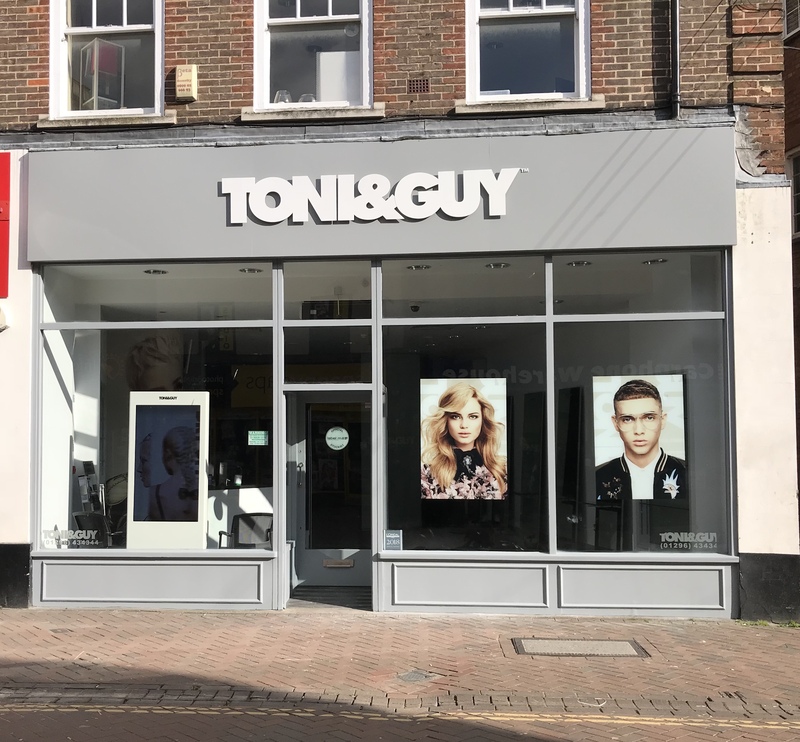 About TONI&GUY Aylesbury TONI&GUY Aylesbury opened in 1998. As a salon we pride ourselves on delivering the highest standards of customer service to each and every client. Our talented team of stylists and technicians are on hand to give you expert advice and create hair that is individual and easy to live with, interpreting fashion trends with versatile wearable styles. We offer many additional services including Bridal and Occasion hair and the NanoKeratin Smoothing blow-dry! We stock a wide range of label.m haircare products to keep your hair salon perfect until your next visit. For more information on our services please speak to our friendly reception team who will be happy to help. Jordan was very helpful and listening to what I wanted and gave good advise as my hair was over coloured red by a previous salon, she did an excellent job and I was extremely pleased, whilst being professional and friendly. Everyone ones really friendly and couldn’t do enough. I should a picture of what I wanted to my stylist Izzy and it was perfect exactly what I ask for, very professional and friendly. Congrats to Izzy on her promotion too ???????????????? Thank you for taking the time to leave a review and thank you for congratulating Izzy, we are glad you had a great experience and we look forward to seeing you again soon. Wish I’d never gone anywhere else! Izzy has been my hairdresser for years, however I went to another hairdresser for my past couple of cuts. Going back in to you again after going elsewhere has made me realise what I’ve been missing! P.S everyone there is fab. Love that they made a fuss over my baby and having her with me wasn’t much of an issue! Thank you for taking the time to leave a review and your kind comments! we welcome all kids and babies!, we are glad you had a great experience and we look forward to seeing you again soon. Thank you for taking the time to leave a review, we are glad you have always had a great experience, we are welcoming the new management with new changes, they have added alot more discounted days - including 15% off all services on a Tuesdays and 20% off 8am appointments! there is also an option to have an express blowdry completly complimentary after your colour, we hope to see you again soon! Another great cut with Izzy. Went shopping afterwards and lady came up to me and commented on my hair-asked me where I had it cut. Was happy to recommend Izzy at Tony and Guy. Aylesbury. Thank you for taking the time to leave a review, its lovely to hear you had a few comments about your hair, and would recommend Izzy, we look forward to seeing you again soon! Great haircut that my daughter was really pleased with. Thank you for taking the time to leave a review, we are glad your daughter loved her hair! we look forward to seeing you again soon. Great regrowth and blow dry. Disappointed to hear that Half head regrowth might be going because of new management. I come in regularly for hair colour and more so because there has been this option. Thank you for taking the time to leave a review, As we are under new management, there is a few new exciting changes including 15% off all services on a Tuesday! We continue to value our regular customers with package deals for colour. Please ask our team for details. We look forward to seeing you again. I was very happy with the way Carlo cut my hair and I have been goi g to Carlo for a long time no. I wasn’t happy however to be told that they had done away with the 10% re-booking discount. The new owners are definitely not trying to encourage client to come back. Thank you for taking the time to leave a review, we are welcoming the new management and the new changes! we have done away with the 10% off rebooking but we have greater discount days, these include 15% off all services on a Tuesday, 20% off 8am appointments, 20% off on a wedneday for NHS/ Senior Citzens/ Civil Servant, Emerency Services, teachers and armed forces. we are glad you have always had a great experience and hope to see you again soon. Izzy listened and looked at pictures of what I wanted and gave advice on slight adaptions to suit my hair type and lifestyle. I absolutely love my new look which has made me feel younger, modern and is an easy style to maintain. Thank you! Thank you for taking the time to leave a review, we are glad you had a great experience with Izzy, we look forward to seeing you again soon! Thank you Sasha C for my hair cut. Feels and looks so much better. I look a little younger as well. Thank you for taking the time to leave a review, we are glad you feel younger with your new hair! we look forward to seeing you again soon. At last I have found someone who knows how to cut a Bob. So pleased with the result. Happy and friendly salon. Will definitely be returning. Thank you Jenny. Thank you for your lovely review, we are glad you had a great experience with Jenny, and look forward to seeing you again soon. Great hair cut and amazing blow dry by Nathan, thank you. Disappointed to hear NHS discount will be on a Wednesday only from now on as that’s a day I work ???? also enquired about having a colour on my next visit but member of staff couldn’t explain the options I was asking about and wasn’t sure about prices, so didn’t book. Again, very pleased with Nathan’s cut and finish. Thank you for taking the time to leave a review, yes you are correct we do an extra discount for NHS on a Wednesday for 20% but every other day (except a Saturday) you will still get 10% off and also we offer 15% off all services on a Tuesdays. We are sorry your didnt see one of our techinicians please pop in for a consultation free of charge or give the salon a call and we can get your colour booked in for you. We look forward to seeing you again soon! Another fab cut and hair wash by Carlo. Have been visiting this salon exclusively for 20 years & always have a great experience- absolutely brilliant team! Thank you for taking the time to leave a review, we are glad you have always had a great experience with us! thank you for being a loyal customer of 20+ years! we look forward to your next visit. Loved it! So nice not to leave the hairdressers wondering how long it’ll take to grow so I can start again!